We want you to enjoy racing in the BRSCC Alfa Romeo Championship and at the same time do it in safety. As with all sports where a number of competitors are in the arena at the same time, we need to establish and apply some basic standards of conduct which everyone agrees to abide by. 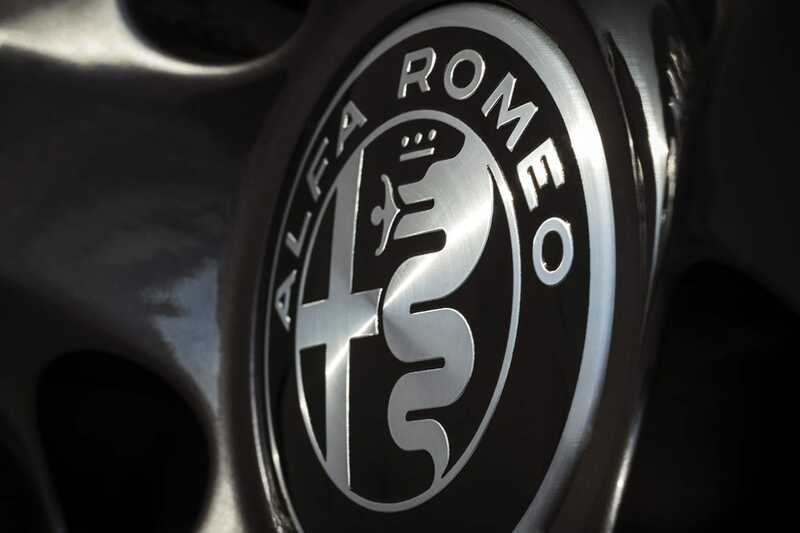 If all drivers do this, car contact will be a rarity, accident damage – and therefore repair costs – will be eliminated or dramatically reduced, and racing your Alfa Romeo will be pure pleasure. The Alfa Romeo Championship Association is concerned that our racing events do not resemble the sort of incident-prone contests we sometimes see in other classes of motor racing. We are determined to do whatever is necessary to maintain the high driving standards which we want to be a feature of our races. In conjunction with the BRSCC and MSA officials we will continue to carry out pre-race briefings at all circuits to get the safety message across and give guidance to less experienced drivers. Having said all this, we do not want to stifle competition; we want to see racing that is fast and close because that is what makes it fun for the driver and entertaining for the spectator. To achieve this we need your co-operation to keep the safety aspect always in mind when you are racing. This Code of Conduct addresses most of the potential problem areas. There are three chief areas which need to be addressed: passing in Corners, lapping and being lapped, and the use of mirrors. PASSING IN CORNERS: This is the principal cause of accidents. If you are being challenged as you go into a corner, do NOT simply slam the door shut. Take your line and do not modify it in an effort to block the challenging driver or, at worst, force him or her off the track. In many instances this results in both your car and the opposing car being tangled up, causing expensive damage to each and posing a potential menace to everyone else. GIVE THE OTHER DRIVER SOME ROOM: If you are on the correct racing line, the other driver will find it difficult to match your pace through the corner anyway, and you should emerge ahead at the exit. If, however, the other driver gets alongside and is inside you, the corner is theirs. Do not take immediate retaliatory action by tightening your line in order to try to squeeze the other driver. Wait for a suitable opportunity to re-pass later on. The first corner after the start is always a potential source of contact. Although the start is a great opportunity to make up places, be reasonable. Do not start weaving as you approach that first corner or dive for the inside line. Keep your line as you approach the corner so that everyone else can judge where you are and anticipate what you are going to do. Remember, there are probably well over 100 more corners still to come in the race! LAPPING AND BEING LAPPED: Our Championship attracts a wide range of driver skills and car performance. Some drivers have considerable experience, but others are novices who, although they may have driven at track days or similar events, have very little experience of racing. This means that there may be significant speed differentials which demand great care from everybody. There will be lapping of the slower cars by fasterones, both in qualifying and in the race. It is therefore vital for all drivers to observe a code of etiquette that makes it possible to race safely despite this differential of speed. QUALIFYING: If you are in a slower car and being lapped by a faster one, there is absolutely no point in holding up the other driver. Stick to your line around the circuit and keep to your own style of driving. The faster driver will find a way past at the right opportunity in the knowledge that you are not going to do anything unexpected. Do NOT try to ‘help’ the lapping driver by suddenly modifying your line. This causes confusion and therefore – potentially – an accident. If you are driving in close proximity to a car of similar performance to your own, do not race it. Hang back, get some clear space, and put in a lap which is not slowed by someone else. If you are in a faster car and closing on the car in front as you approach a corner, do NOT assume that the driver ahead has seen you in his mirrors and intends to pull over to let you through. He may well be concentrating 100% on his own hot lap and is under no obligation to abort it, despite the fact that he may have been given the blue flag. RACE: If you are in a slower class and being lapped by faster machinery, DO NOT BLOCK or WEAVE. It will only slow you down, allowing your own rivals to catch up, and cause great irritation to the faster drivers who are having a race of their own. If you are racing for position, as opposed to being lapped, you may ONLY CHANGE DIRECTION ONCE in front of the pursuing car, that is to say you can only move left or right in front of the car, not both. Pushing or Squeezing competitors off the track is strictly forbidden, i.e. reducing the available track width to less than a car’s width. Overly aggressive driving is also not acceptable and includes such behaviour as going for gaps that are not there, using other competitors as a physical brake, and being prepared to have an accident rather than lifting the throttle. LAPPING SLOWER CARS: Novices carry a black cross on a yellow ground on their car’s tail and should be easy to pick out. Treat them with care and respect; if there is any doubt in your mind about where they are going to be on the track as you approach them, give them the benefit of the doubt. Do remember that, even if the competitor in front is in a different class and is slower than you, he/she will be having their own serious race with class rivals. Make sure that you don’t do anything to disrupt this. USE OF MIRRORS: A minority of drivers may make insufficient use of their mirrors. This may be because they are driving above their natural level of performance, so that they have no spare time to look behind, or it may be that they have very little experience and do not appreciate how vitally important the mirrors are, especially given the speed differentials which apply in our Championship. You should develop a standard routine for checking your mirrors which becomes second nature. Check your mirrors as you exit every single corner. This way you will not suffer any sudden surprises when, for example, the race leader is about to go past. All your fellow competitors will feel confident in your ability and you will enjoy a high reputation as a safe driver. By driving within yourself, at a level where you feel slightly uncomfortable but are not driving tensed up with your heart in your mouth, you will have time to not only check your mirrors but also the oil pressure and water temperature gauges at a convenient straight section of the track. This last exercise might well save you a fortune in repair bills! SUMMARY: ARCA trusts that the above Code of Conduct which all competitors are required to abide by will make your racing safer and more enjoyable. Remember, if you are just starting racing there may be a temptation to drive faster than your initial level of skill allows. Resist it. You will find that, as you acquire more experience, your lap times will automatically improve and you will be surprised how much more enjoyable it will be. If you need any advice or assistance members of the Championship Panel will be only be too pleased to advise and assist. Signing your agreement to this Code of Conduct is a pre-requisite for participating in the BRSCC Alfa Romeo Championship.